Acclaimed has over 23 years experience on projects like yours, performed by highly experienced and trained technicians. We are NADCA and COR certified, carry $2,000,000 in liability insurance, have WCB coverage on all employees and never use “third party” contractors. At Acclaimed! 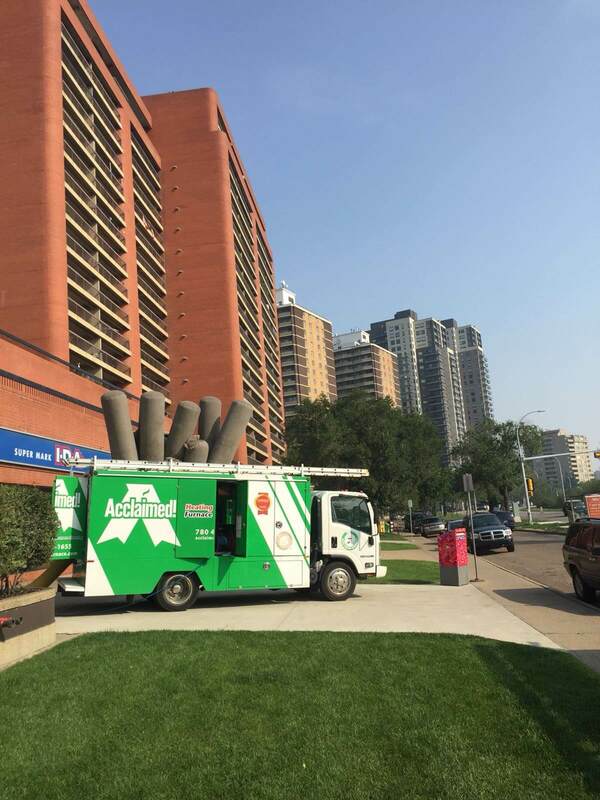 Heating, Cooling & Furnace Cleaning in Edmonton, we use state of the art equipment and practices. 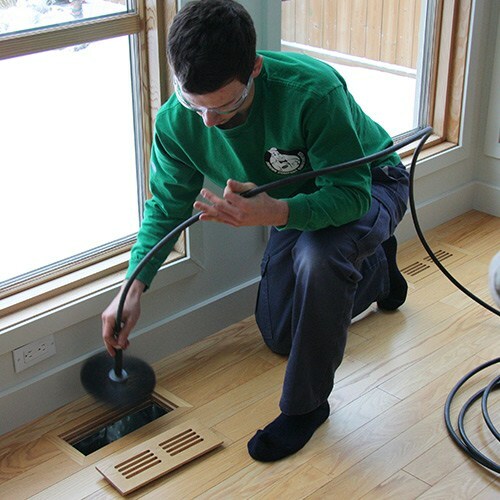 In addition to the finest PowerVac trucks, we use specialty cleaning tools inside your furnace air vents and air ducts. These include: brushes, rotors, and whips of many different configurations. We tailor our equipment and cleaning processes to the unique requirements of the heating and cooling systems in your building. Though our primary focus is furnace cleaning, we also specialize in the cleaning of MUAs (Make Up Air) systems, RTUs (Roof Top Units), AHUs (Air Handling Units). In addition to heating and cooling systems, many companies also utilize Acclaimed! for the cleaning of dryer vents (from the outside hood only, the back of the dryer only, or from both the outside hood and the back of the dryer), the replacement of hot water tanks, furnaces, and air conditioners, and general maintenance on these units. The certified technicians at Acclaimed! 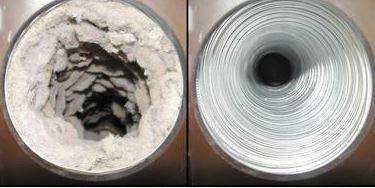 use specialized equipment to thoroughly clean the entire vent duct exhaust line, from the dryer to the exterior exhaust vent hood, effectively removing lint buildup and allowing your dryer to operate at its peak efficiency. Customers experience the immediate benefits of reduced drying time, energy savings, and greatly reduced fire hazard . . . plus less wear and tear on your dryer itself. For optimal air flow, sanitization, hazard reduction and performance of your appliances, we suggest that your furnace, ducts and dryer vent be cleaned annually. Using state of the art equipment and techniques, Acclaimed! can transform your furnace and ductwork system. Don’t let your HVAC system grow dirty, musty, and germ-laden. Allow our cleaning techniques to freshen the air improving the health of your building. The cleaning process depends on the size of the building. Request an on-site estimate today. For your furnace air vents and air ducts, Acclaimed! uses the finest PowerVac trucks and various specialty tools. Brushes, rotors, and powerwhips are available in various configurations to accommodate your building size and shape. We prefer to use our PowerWhip and Rotor method which can match the unique requirements of your HVAC system. 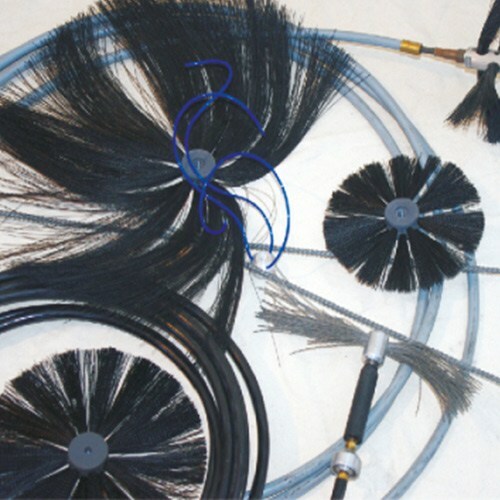 Our PowerWhip and Rotor method uses a strong scrubbing of your entire duct system with latex whips and rotor. If you have gone a long time without duct cleaning or your building has experienced renovation work, our PowerWhip and Rotor method is recommended. There are no extra charges for our dual zone hook-ups, deluxe hot water tank cleaning, or scrubbing of the main runs. However, all of our cleaning services do include a waste removal fee of $19.95. 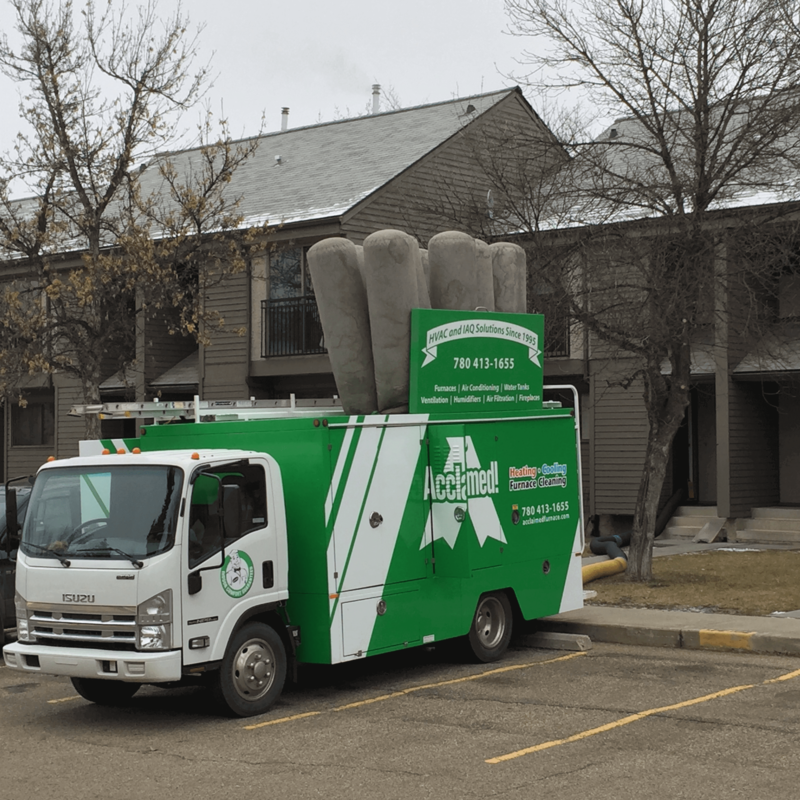 Our certified technicians use specialized equipment to thoroughly clean the entire vent duct exhaust line, from the dryer to the exterior exhaust vent hood, eliminating fire hazards and increasing your dryer’s efficiency. 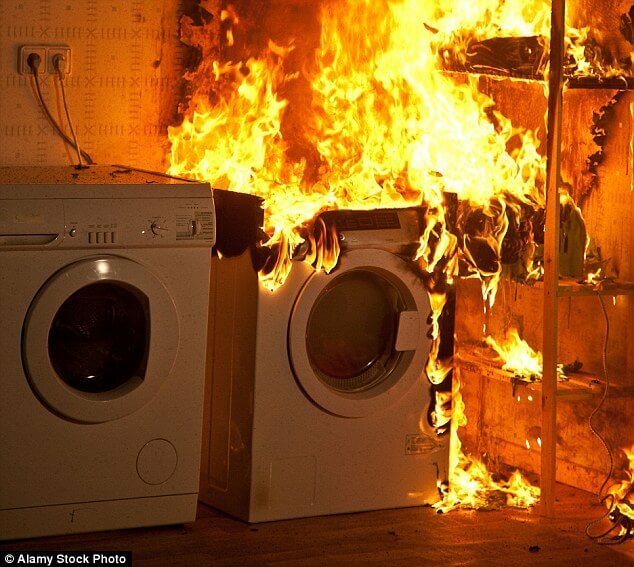 In the United States, the Consumer Product Safety Commission estimates that over 15,000 dryer related fires occur each year, causing an estimated 97 million dollars in property loss. At the same time, clogged dryer vent pipes cause your dryer to work harder and can greatly increase the time it takes to dry your clothes, thereby increasing energy costs. 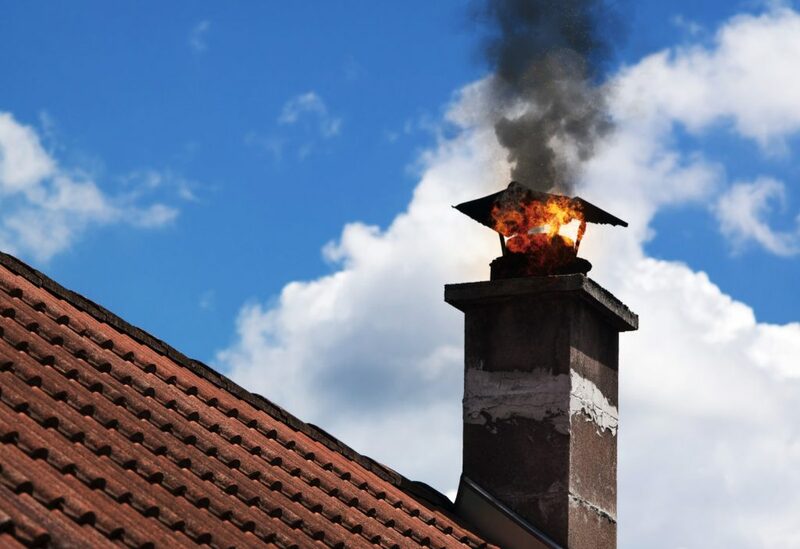 We remove accumulated oil soot (unburned carbon and sulfur) from the walls and base of the chimney. This reduces corrosion and increases exhaust flow so that combustion and flue gases don’t spill back into the building. 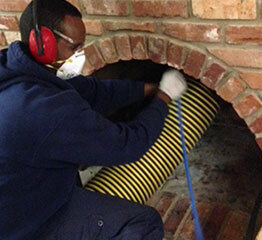 Furnace chimney cleaning is a keystone service for the safe and efficient operation of your HVAC system. It is performed to ensure proper exhaust of flue gases and prevent blockages in the furnace chimney. It allows for combustion that produces carbon monoxide to be properly vented. In order to get the most value out of regular HVAC system maintenance, it is best to have the furnace chimney cleaned and serviced when a furnace cleaning and inspection is performed. Most ducts can be clogged with excessive amounts of dust and debris and/or particles – as much as 40 lbs. can be accumulated in a year. These particles are continually cycled through the living space of your home through your supply registers. Substantial mould growth can be hidden within ductwork and inside other components of your heating and cooling system.The debris accumulation within your ductwork can provide a perfect breeding ground for other indoor air contaminants such as bacteria, fungi and dust mites. This can lead to significant respiratory issues for people who suffer from asthma or allergies. Ductwork can also be infested with vermin, such as rodents and insects. It gives them an entry point to every room in your home. At times these critters die within the duct system and homeowners are left with a terrible stinky mess. We can help! We will first need to do a through duct cleaning of the duct system. One We can sanitize the full duct system with a fogging process. The sanitizing solution we use is 100% safe to use and to breathe, and is endorsed by the EPA (Environmental Protection Agency), ensuring it’s safety.